Zahner & Associates utilizes state-of-the-art scanning technology. Mobile LiDAR is an innovative mapping solution that incorporates the most advanced LiDAR sensors, cameras and position/navigation to collect survey-quality point data quickly and accurately. Mobile LiDAR offers numerous advantages over aerial mapping and conventional ground surveys. This non-invasive method of surveying can be operated day or night with efficient acquisition of millions of 3D design points per minute. Mobile laser scanning provides data density of up to 150 points per square foot, allowing for faster coordinate acquisition compared with all other survey methods. 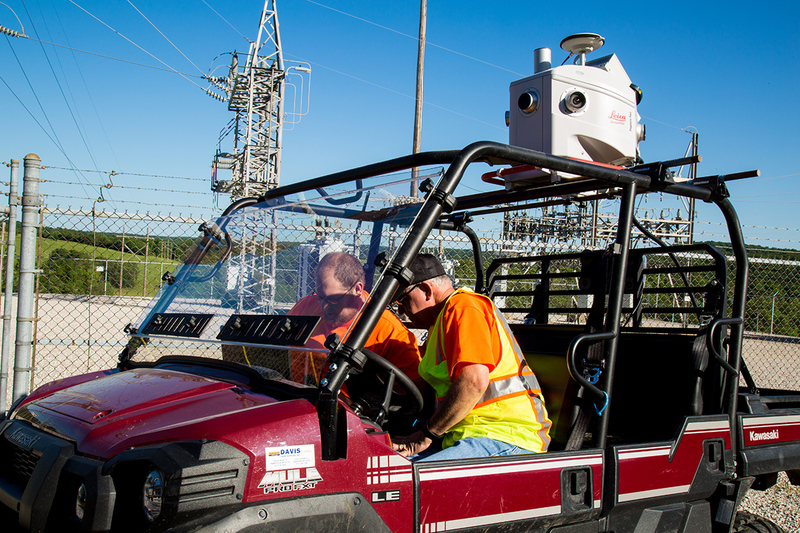 A few of the benefits of using Mobile LiDAR include: cost savings, time savings, enhanced data, and increased safety. We are eager to partner with you and demonstrate why we are the best choice for surveying and scanning needs. Please call 573-547-1771 to consult one of our associates today.